Macaroni and cheese. Ketchup and Oreos? Wall Street is betting it could happen. Shares of cookie king Mondelez were up more than 6% Thursday on speculation that Kraft Heinz might want to take it over. Will a deal really happen though? Spokespeople for both Mondelez and Kraft Heinz had no comment on the rumors. And it might seem odd that Kraft Heinz might want to buy Mondelez since Kraft and Mondelez were actually one company not that long ago. Kraft and Mondelez (MDLZ) split in 2012. Mondelez, which also owns Cadbury, Nabisco, Ritz and Toblerone, was set up to be a global snacks giant while Kraft, owner of the classic mac & cheese, Velveeta, Oscar Mayer and Kool-Aid, focused more on grocery brand staples popular in North America. But here's why a reunification of the two companies might make sense. Kraft is now part of Kraft Heinz (KHC), which is backed by Warren Buffett. 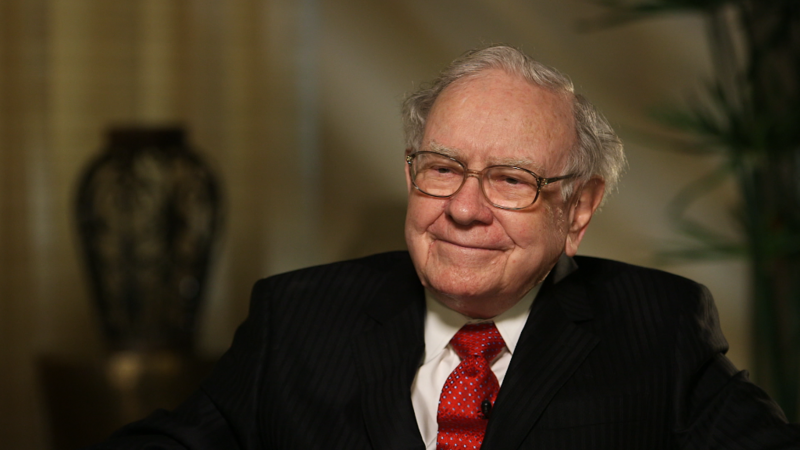 The Oracle of Omaha's Berkshire Hathaway (BRKB) teamed up with Brazilian private equity giant 3G in 2013 to buy Heinz. Heinz then bought Kraft last year. Since then, there has been frequent chatter about Kraft Heinz potentially looking to buy Mondelez. The speculation has increased in the past month following reports that 3G was planning to raise up to $10 billion for new takeovers in the food industry. Mondelez has also been viewed as being vulnerable to a takeover after its efforts to buy Hershey (HSY) earlier this year were repeatedly rebuffed. Mondelez finally abandoned its attempt to buy Hershey in August. One of the biggest investors in Mondelez is activist investor Bill Ackman of Pershing Square Capital Management. And Ackman also is the largest shareholder of Restaurant Brands (QSR) -- the fast food giant formed when 3G merged Burger King with coffee and donut chain Tim Hortons. Guess who is also a big owner of Restaurant Brands? Buffett's Berkshire Hathaway. So for all these reasons, a deal could make sense. But it's worth noting that Buffett flatly denied reports of a Kraft Heinz-Mondelez deal in an interview with CNBC in August 2015. Of course, that was more than a year ago now. Things may have changed. And the market is clearly betting on more takeovers involving some of your favorite supermarket staples. Kellogg's (K) stock surged earlier this year on rumors that Kraft Heinz was targeting the cereal maker. The speculation quickly died though. Investors have also been wondering if General Mills (GIS), Campbell Soup (CPB) or ConAgra (CAG) could be a target for 3G and Berkshire as well. Hershey could even also be back in play for that matter. Berkshire recently cashed out of its investment in gum maker Wrigley in October, selling its minority stake to privately-held candy giant Mars so it could take full control of Wrigley. Berkshire Hathaway already owns See's Candies. Adding Hershey to the mix could potentially make sense -- assuming that Buffett and 3G don't look to buy Mondelez and Cadbury instead. So it will be interesting to see if Buffett -- who also owns a big stake in Coca-Cola (KO) and famously drinks LOTS of Cherry Coke -- will eventually wind up buying another company famous for sugary sweetness. --CNNMoney's Alanna Petroff contributed to this story.